Ireland’s wildlife is delighted to be contributing wildlife-related content to a brand new nature blog on the fledgling West Cork Times website. You’ll still get the best nature and wildlife content here on the Ireland’s Wildlife site first… but it’s great to have a platform to bring wildlife awareness to a wider audience. 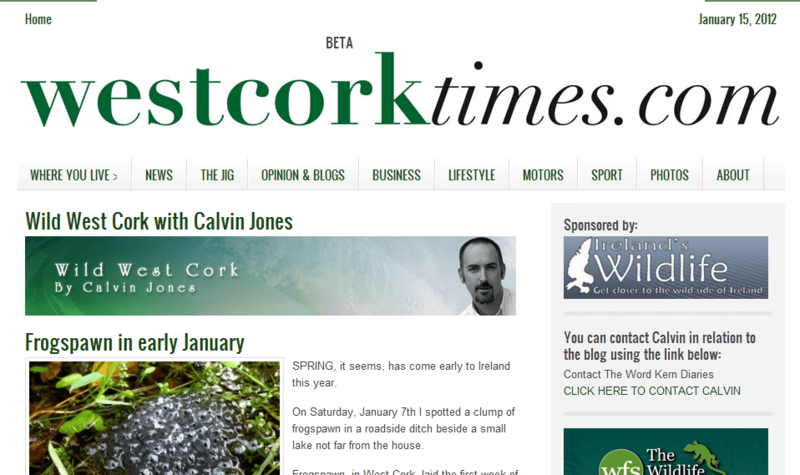 West Cork Times is a brand new hyperlocal news website focussed on serving the West Cork region.